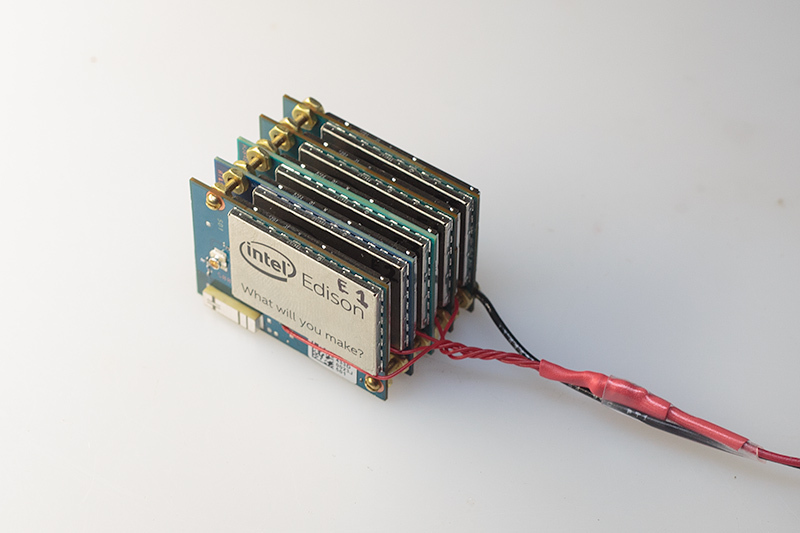 When Intel Edison came out in September 2014, it caught my eye not only because of my unhealthy obsession with robotics, but also because it seemed like an interesting platform for security enthusiasts to perform hobby fuzzing work. For those of you not familiar with the term, fuzz testing is a method of examining the security properties of various Internet-facing programs by throwing quasi-random data at them - and seeing if that causes them to misbehave in interesting ways. If you do it fast enough and creatively enough, this brute-force approach can yield remarkable results and help security researchers squash hundreds of serious bugs. I figured that the device is unlikely to offer the most CPU performance for your buck, but that its seemingly unbeatable form factor could allow DIYers to run long-term fuzzing jobs on, say, a hundred logical cores - without turning their bedroom in a datacenter. In theory, you could construct such a rig for less than $1,300, have it consume less than 40 watts, and take up about as much space as two books. There are several variants of the device, including the "regular" EDI1.SPON.AL.S and "wearable" EDI1.LPON.AL.S. I'll be damned if the differences are explained on Intel's product landing page or in their platform brief - but the first model does just fine. The documentation for Edison seems remarkably sparse, findable only through web searchers, and often mixed up with seemingly irrelevant content for their older and bulkier platform, Galileo. You will not find anything resembling the sort of in-depth documentation you can see for Atmel MCUs, but with a bit of luck, you may be be able to bump into a getting started doc, which makes it clear that the device needs to be configured via USB-over-serial to get it on the network - and implies that you will need an expensive EDI1ARDUIN.AL.K interface board that is supposedly designed for the users of Arduino (gross!). There is not a single peep as to whether the much cheaper BB.AL.B breakout board offers the same capabilities for configuring or re-imaging Edison. There is a hardware guide for the cheaper board, but it doesn't help: if you are lucky, you may notice a mention of "UART - USB FTDI" on one of the pictures, but that's about it. 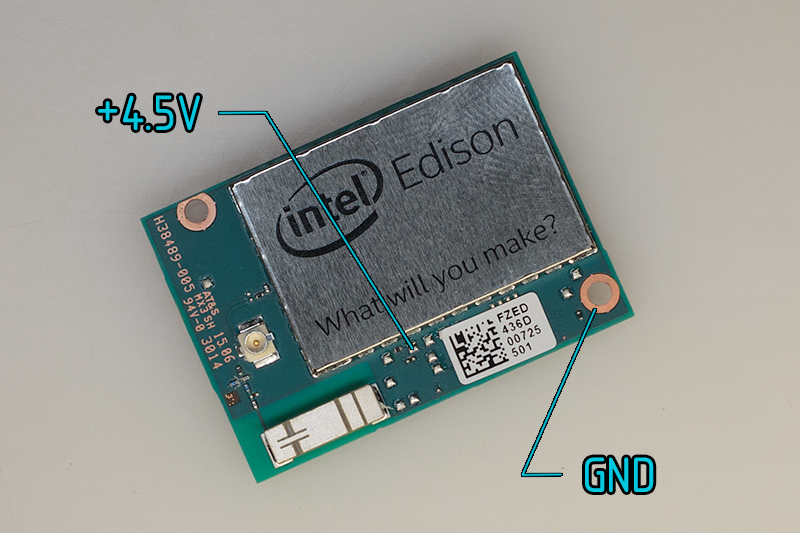 Ideally, Edison should be operated in "production" without the $20 breakout board or the $85 "Arduino" thing. Alas, the only documented connector on the device is an incredibly dense and uncommon 70-pin Hirose DF40 thing (with 0.4 mm contact pitch!). The mating sockets are inexpensive (under $1), but will require serious skill to solder. There is also a bunch of exposed solder pads on the PCB, but they are not documented or marked in any way, so it's not clear if they can be used to supply power to the SoC. 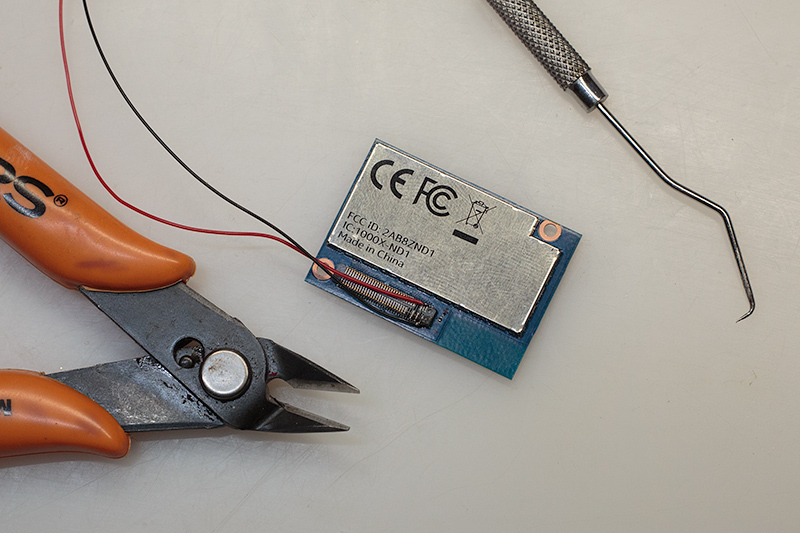 Connecting to that +4.5V pad is going to be somewhat challenging to novices, mostly because there are two components nearby - but if you have a decent, small soldering iron and some practice with SMD, it shouldn't be a big deal. The configuration script mentioned in Intel's getting started guide had different calling semantics than specified, and more importantly, failed to ensure that that wpa_supplicant and udhcpc would run on next boot after setting up wifi - so every reboot would make you lose network connectivity and necessitate a connection over USB. For network access, listening on port 22 is for some reason delegated to systemd, which then calls OpenSSH in inetd mode on demand. While it may save about half a meg of physical RAM (which Intel then promptly wastes on other things discussed later on), it also has the nasty side effect of systemd hard-killing the entire process group created within your SSH session when you exit - and that includes screen and all its children. 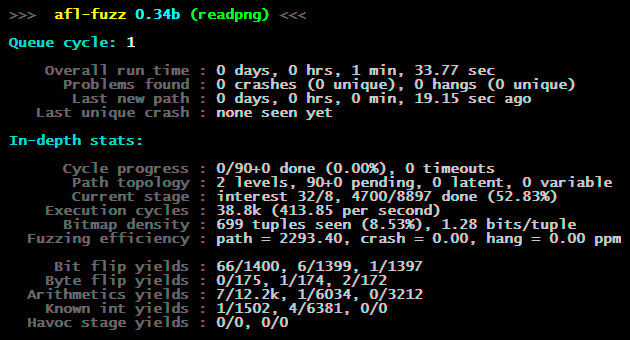 The journald service provided by systemd was running with no maximum journal size defined, eventually filling up the entire root partition. Oops. 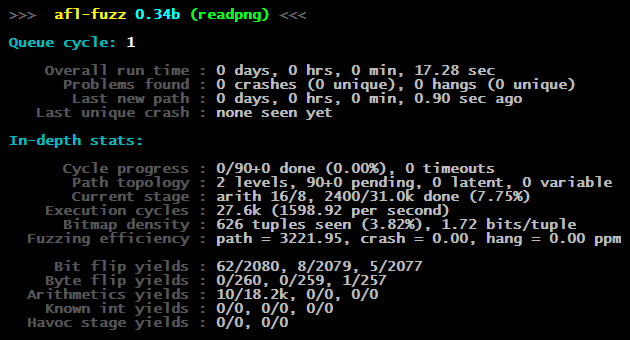 Modern hyperthreading can be helpful in fuzzing work. Most Atom CPUs are capable of HT and this one reportedly has two "threads" per core, so I naturally assumed that it comes with HT - but as it turns out, there are appear to be no extra logical cores available on the system after boot. Upon closer investigation, looks like Atom SoCs in the Silvermont family have dealt away with explicit HT, and the threads may be just used internally for out-of-order execution - but it's another thing that isn't really clear in the marketing docs. Looking beyond the occassional quibble or two, Edison turned out to be pretty impressive. The 32-bit Linux distro is based on Yocto Linux (a framework for building customized embedded images) and comes with very few compromises: you even get a working, hosted GCC, so compiling and installing programs such as screen is a breeze. After booting to the Intel-supplied image, you get around 900 MB of free RAM (although you can reclaim a bit more killing a couple of services) and over 2 GB of disk space. Not enough to go crazy with Microsoft Office or Firefox, but plenty of leg room for fuzzing libraries, network services, and so on. Speaking of memory usage, I would generally recommend doing systemctl disable and systemctl stop on edison_config, xdk-daemon, rsmb, and mdns - both to free up resources and to minimize the network-exposed attack surface. It is also safe to get rid of clloader, sketch_reset, systemd-resolved, and a bunch of other things. The system needs around 20-30 mW when idle, and peaks in the vicinity of 800 mW when running at full power - not bad. Of course, it is a limited benchmark that emphasizes context switching speed, simple integer arithmetics, and memory access - but it's a good proxy for what I'm after, and probably a semi-decent approximation of system performance in general. As you can see on the screenshots, the measured speed of the fuzzing process - as expressed by the number of execs per second - is lower on Edison by a factor of four or so. The result is actually a bit more positive than implied by the comparison of clock speeds alone, suggesting that there are relatively few hidden bottlenecks for running such loads on Edison. This brings us to a back-of-a-napkin calculation of cost-efficiency. Compared to my reference server, there is a nominal 4x slowdown per core, and on top of that, Edison has just two cores, rather than four. For highly parallelizable and computationally intensive tasks such as fuzzing, we can probably safely say that Edison will be about 8x less powerful. As it happens, the SoC is also roughly 5-8x cheaper than a desktop machine or a server with specs comparable to the X3440 box - so while it is not exactly a steal, the economics make some sense. The modest premium may be well worth the small footprint and the quiet operation of an Edison-based rig. Of course, the other alternative for scalable, long-term fuzzing work is, ahem, cloud computing. 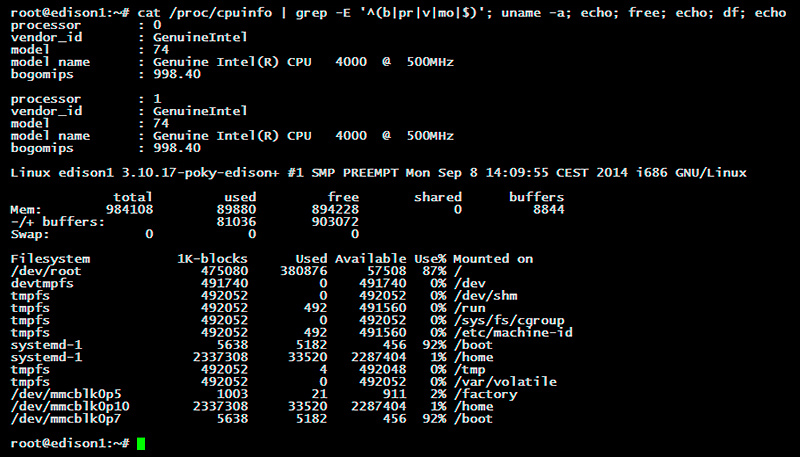 One CPU core with a performance comparable to my reference server is usually billed at around $0.05 per hour. 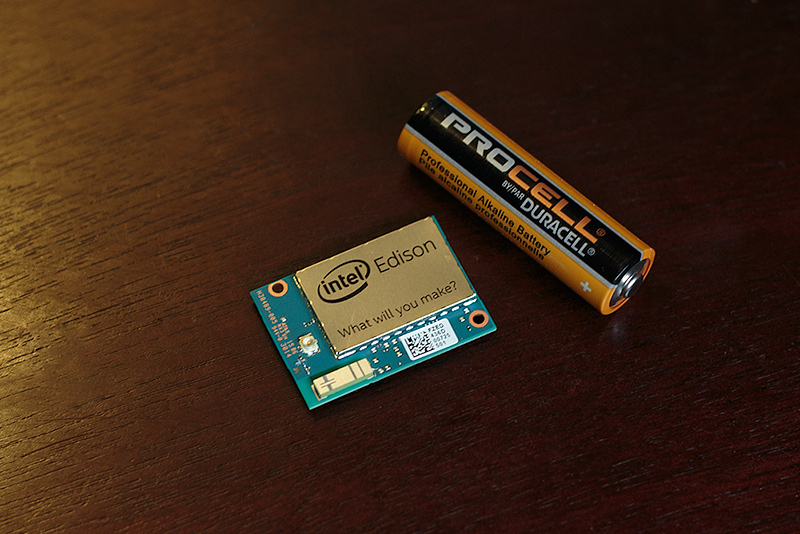 One $50 Edison board would pay for 1,000 hours - just over one month - of processor time. If you do the equivalent amount of work on Edison, you will break even. The virtual core you are getting will be likely around 4x faster than a single core on Edison, but on the SoC, you'd have two cores to get by; so, let's conservatively say that you would need to run computationally expensive tasks on Intel's contraption for three months straight to get to the point where it truly pays off. This is not exactly crazy: some individual fuzzing jobs run for weeks or months at a time, and the device itself can be reused for any number of different fuzzing projects later on. But if we're talking about such timescales, it also makes sense to look at single, private virtual servers, which come without all the cloud storage and IPC bells and whistles, but can be paid for with a single, monthly fee. The rate for a single-core VPS is usually below $10, or some $0.01 per hour. By that token, you would need to crunch numbers on Edison for more than a year to recoup its worth - a less convincing deal. Physical, "bare metal" servers at an ISP may actually offer the best value: they often start somewhere around $80 per month and come with very few compromises. On the other hand, ISPs will almost certainly get cranky if you end up ordering them by the dozen and then walk away from the contract after a month or two. The whole thing consists just of SoCs, a couple of wires, a random 4.5 V power supply from my recycling box, and a bunch of miniature nuts and machine screws that double as the ground rail. This is about as close as I could pack the boards and not have them overheat when cooled passively. If the airflow is obstructed or you want to pack them tighter, a heat sink or a small and quiet fan should do the trick. Well, that's (mostly) it! 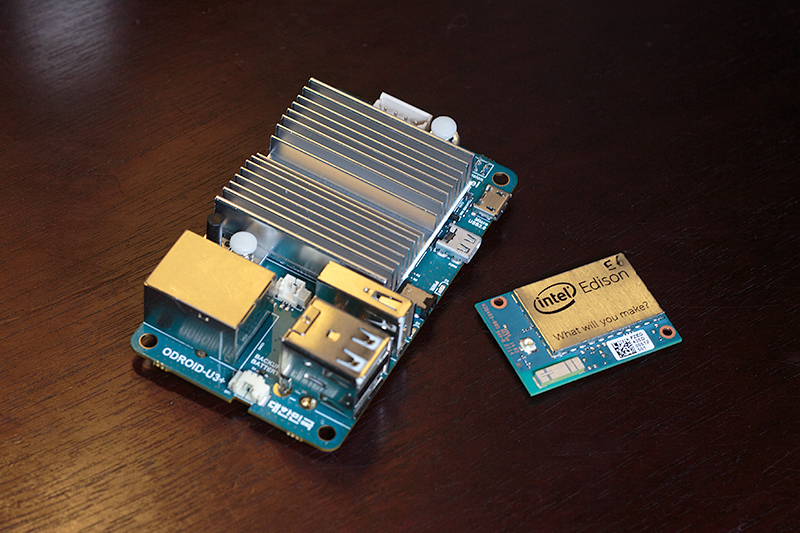 Some time ago, I also promised to compare Edison to Odroid-U3, a 1.7 GHz four-core ARM system that volume-wise, takes up nearly 25 times as much space as Edison, but is still very compact - and roughly comparable in terms of price. Using the afl-fuzz benchmark as a reference point, a single core on Odroid is almost precisely 2x faster than Edison; there are four cores total, compared to two on Edison, so in theory, the overall gain is 4x. Alas, I noticed that the multi-core fuzzing performance degraded quite a bit less gracefully on this Exynos 4412 SoC than on x86 - perhaps due to differences in cache size or memory bandwidth. Realistically, a gain of somewhere near 3x may be a safer bet. Without a fan, the stability of Odroid under heavy load seems questionable; over the course of several weeks of fuzzing, I've seen multiple inexplicable crashes, including "illegal instruction" faults in stock screen. Price-wise, the Odroid board costs $65, although there are some additional costs. Perhaps most notably, the system comes with no non-volatile storage, so you need an eMMC module ($25); alternatively, a micro-SD card (sub-$10) will work if you don't care about the the file system being sluggish every now and then. 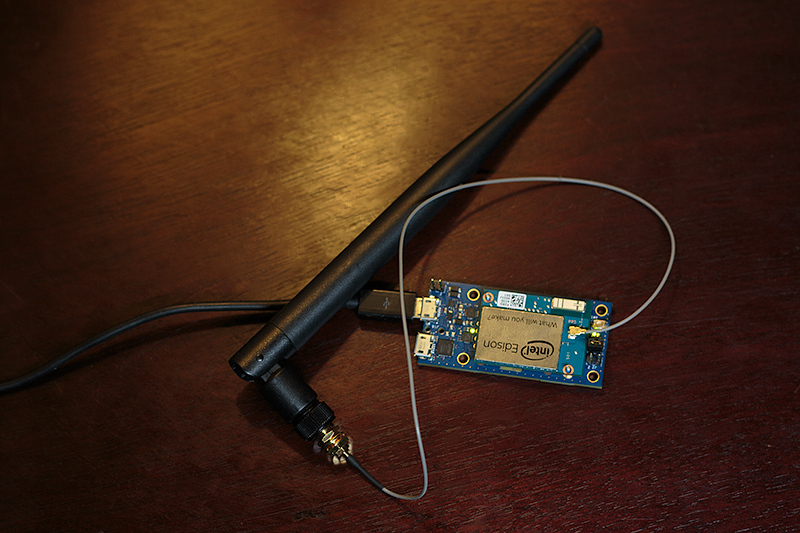 There is also no wifi, so you need a wireless module ($8) or a wired hub and some cables to go with it. All in all, the total will be probably closer to $90 or so. You can reach the author of this page at <lcamtuf@coredump.cx>.